Soundproof Cow’s Udderly Quiet™ Acoustic Panels are a professional grade acoustic product that can be mounted to walls or ceilings to soundproof any space. Udderly Quiet™ Acoustic Panels provide an excellent acoustic performance combined with a multitude of fabric wrap finishes, sizes, and configurations that give you limitless design and sound controlling potential. Our fabric wrapped panels are made-to-order based on your specifications, so get creative and have fun! Choose from a wide variety of fabric options to suit your design preferences. Have a fabric in mind? Let our acoustic team know, and we’ll wrap your panels with the fabric of your choice! You can even upload your own images so we can create a truly custom, one of a kind art acoustic panel. The craftsmanship and materials of Udderly Quiet™ Fabric Wrapped Acoustic Panels are of the highest standards available on the market. Hand-made in South Central Pennsylvania, our acoustic panels are all made with high-quality recycled materials. All Udderly Quiet™ Acoustic Panels have a flammability rating of Class A and will pass stringent building code requirements for exposed materials. Read on to learn more about our fabric wrapped acoustic panels and how they can be the perfect soundproofing solution for you. Fabric wrapped acoustic panels quiet your space by absorbing noise. These sound-absorbing fabric panels draw in and envelop loud and harsh sounds, giving you the silence you need to concentrate, relax, or hear your own music clearly. If you’re plagued by the sounds of traffic from outside, muffled conversations among your upstairs neighbors or other distracting sounds, these fabric-wrapped acoustic panels can finally give you some much-needed peace. Acoustic Panels will add privacy to your space by preventing sound from escaping. With your acoustic fabric panels in place, those outside will not be able to hear what is happening inside. You are free to have conversations without fear of being overheard, play loud music without worrying about complaints from neighbors, or otherwise go about your business without worrying that the noise you are making will invite unwanted intrusions to your privacy. Acoustic Panels will improve speech intelligibility, recording quality and listening quality. 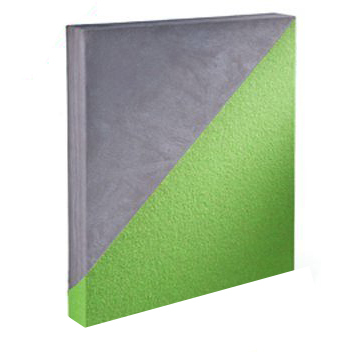 In addition to blocking the outside noise and preventing noise transfer, these acoustic fabric panels can deaden interference and harsh sounds within the soundproofed area. Fabric wrapped acoustic panels will allow you to hear conversations more clearly and make better, cleaner music or speeches for rehearsal or recording purposes. In a crowded restaurant with many conversations happening at the same time, diners can have a hard time hearing each other, let alone enjoying a peaceful meal. Whether your restaurant is a fine-dining establishment where couples go for a romantic night out or a busy cafe where students study and sip coffee, noise plays a large role in your customers’ satisfaction. A 2018 survey by Zagat revealed that high noise levels are diners’ biggest complaint, yet many restaurants now boast extremely high noise levels. As a restaurant manager, you have spent time and energy crafting the perfect menu and ambiance, so don’t let a noisy dining room ruin your customers’ experience. Fabric wrapped panels can greatly improve the noise level in your restaurant by trapping excess noise to produce a generally quieter environment, while also clarifying speech so your guests can hold conversations easily. The speech clarification that fabric sound panels provide also allows customers and waitstaff to communicate more easily. 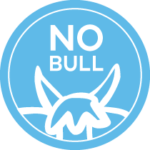 This means your staff is less likely to mishear a customer’s order and has a better chance of selling your patrons on daily specials or unique menu features. A quieter environment also allows your restaurant staff to focus more effectively and encourages guests to stay longer, which can lead to more purchases. Fabric sound panels can help create the perfect ambiance in your restaurant, be it romantic, chic or cozy, by effectively reducing excess noise. Productivity and focus are central goals of an office space. But the loud environment of modern offices can lead to distraction, decreased productivity and difficulty communicating with clients and co-workers. Background noise in an office, specifically talking, is perceived as a serious problem for many employees. Offices with open floor plans that are popular today experience particular difficulties with sound reverberating in the room and many people collaborating while others try to work in quiet. Employees can have difficulty hearing customers on the phone, which leads to poor relationships with clients and can decrease sales. Fabric wrapped panels can be easily added to existing structures in the office to reduce noise. Strategic placement of fabric panels in your office allows some team members to work together effectively, while others are not distracted by background talking. Fabric panels are also available in many different colors, so they can maintain your office’s professional look, while also improving its acoustics. Soundproof Cow’s acoustic fabric panels can be hung on the wall or ceiling to best suit your office’s needs, and they are perfect for soundproofing an office of any size. With cement walls, tile floors and whiteboards, classrooms have many hard surfaces that sound can bounce off of. Even though some level of noise is inevitable in a classroom full of enthusiastic students, background noise from the hallways and outside can be extremely distracting for young learners. Studies have shown that sound levels in a classroom have a big impact on student learning. Students experiencing excess background noise may have lower reading levels or develop language skills more slowly. A quiet learning environment is even more important for students for whom English is not their first language. Poor acoustics in a classroom can cause speech to sound muddled, making it more difficult for English language learners to distinguish what is being said. Acoustic panels can be a great option for noise management in the classroom because they are unobtrusive, and teachers can install fabric panels on their own without a time-consuming construction project. Because all of Soundproof Cow’s fabric wrapped acoustic panels have a Class A flammability rating, they are a safe and functional sound absorption product. While auditoriums are generally designed to have good acoustics, the high ceilings and bare walls of many auditoriums cause sound to bounce. This creates poor audio quality, particularly for guests in the back rows. Sound can also escape from particularly large concert halls, which can cause issues for performing arts centers with more than one auditorium in the same building. Soundproofing your auditorium ensures your guests have the best listening experience and can truly appreciate the performance they came to hear. Surrounding the room or hall with our fabric-wrapped acoustic panels can help trap and focus the sound inside so audiences can hear the speaker or performer, rather than conversations from inside the room or out in the lobby. These fabric acoustic wall panels will also improve the sound quality of your talented performers, making guests more likely to return for the next concert or play. When athletes are on the court, they need to communicate with one another to coordinate plays and must be able to hear any calls made by the referee. During practice or gym class, students must listen to their coach’s or instructor’s directions for completing exercises or drills. But from feet thumping on the hardwood flooring to balls bouncing and whistles blowing, the gymnasium can quickly become a very noisy place. In fact, a study from the University of Toledo showed that noise levels in a gym can reach 113 decibels (dBa) during sporting activities and 107 dBa during pep rallies. These high noise levels can lead to hearing loss or damage in less than an hour. When you add in cheering fans and music during games, and it becomes nearly impossible for athletes to hear what other players are saying. It also puts their health at risk. Additionally, high volumes of noise in gymnasiums make it difficult for athletes to concentrate, meaning they may not perform at their best and are at greater risk of injury from being distracted. Luckily, soundproofing your gymnasium with fabric sound panels can greatly reduce the amount of echo and reverberation in the gym. Athletes are able to hear more clearly when sound is trapped and contained by acoustic wall panels. These panels have the added bonus of trapping sound inside of the gym, so the noises of squeaking shoes and screaming fans will not disrupt students trying to learn in nearby classrooms. Some gyms in schools or community centers are also used for other purposes, such as performances, classes or speeches. A gym with effective soundproofing will also provide a better venue for these activities, so audiences can stay engaged and hear what is being said. If you have a home theater, you most likely invested a lot of time and money into selecting the perfect equipment and designing the perfect seating area. Your state-of-the-art audio equipment has the potential to produce incredible sound, but without proper soundproofing, this will all go to waste. Acoustic fabric panels can improve the clarity of sound in your home theater, while also trapping sound inside so you do not disrupt your neighbors or even your family members in the next room. The incredible sound-dampening qualities of these sound-absorbing fabric panels allow you to enjoy the clean, clear, focused sound of your home theater speakers in comfort. You will enjoy your home theater even more when you can hear every word of your favorite movie or get fully absorbed in the big game. Home recording studios face two major problems when it comes to soundproofing — outside sounds disrupting your perfect recording and your most passionate jam session disturbing your neighbors. Good soundproofing in your recording studio allows you to perform as loud as you please, while also producing clean and crisp tracks. Acoustic fabric panels will prevent sound from echoing in your recording studio, meaning the only thing you will hear is the crystal clear sound of your voice or instrument. Fabric sound panels are easy to incorporate into your existing studio space to effectively produce high-quality acoustics. One of the added benefits of using acoustic panels for your soundproofing needs is that they are easy to install and look great in any space. With a variety of fabrics and patterns available, you can select the perfect match for any space you want to soundproof. View our photo gallery for inspiration on incorporating fabric panels in your home or business. Our 200 series is a staple in the Udderly Quiet™ collection. Available with four different edge types and in many fabric options, it’s no wonder the 200 series fabric wrapped acoustic panels are one of our best-selling products. These all-purpose acoustic panels contain a glass mineral wool core that provides excellent noise reduction at an affordable price. They are also lightweight, are available in sizes up to 4 feet by 10 feet and offer a variety of mounting capabilities. For added durability, the edges of our 200 series panels are reinforced to increase their strength. This standard fabric panel is great for homes, offices, restaurants or classrooms. The 250 series takes all the benefits of the 200 series and ups its game with an internal aluminum frame. This lightweight frame allows the 250 series panels to be produced in a larger format, making them ideal for gymnasiums, auditoriums and home theaters. Our 250 series acoustic panels are strong and durable and are designed for high-traffic areas. Additionally, they are made from a fiberglass core of 50 percent recycled material and sand, so the 250 series also presents an eco-friendly option. Like all of our fabric wrapped acoustic panels, the 250 series panels are available in two different thicknesses, a variety of sizes and many fabric colors and patterns to choose from. Featuring an impact-resistant layer for serious durability, the 300 series is a superior soundproofing option for spaces they may be jostled or bumped. With the same customization features as all of our fabric wrapped acoustic panels, our 300 series panels are also resistant to dents and bumps. When soundproofing a gymnasium full of flying balls and running athletes, Soundproof Cow’s 300 series acoustic panels are the right choice. Our series 300 panels are also great for restaurants where guests may bump them as they get in and out of tables or for classrooms with energetic students getting in out of their desks. With an added aluminum frame, our 350 series panels are our most durable acoustic panel yet. This fabric-wrapped acoustic panel features the same impact-resistant layer as our 300 series with a glass mineral wool inner core built for effective sound absorption. Available in larger sizes than our 300 series and thicknesses up to 2 7/16 inches, the 350 series fabric acoustic wall panels are a high-quality soundproofing solution for auditoriums and gymnasiums. Our 400 series is the newest addition to our Udderly Quiet collection of fabric wrapped acoustic panels. These panels offer premier soundproofing capabilities in an ultra-thin and sleek design. Measuring only 1/2 inch thick, our 400 series acoustic panels are perfect for low-profile installations or areas where space is limited. These acoustic panels feature a dense mineral wool core that provides good impact resistance while remaining budget-friendly. Install our 400 series panels in your home recording studio, office or classroom. Small, intimate restaurants can also be soundproofed in style with our ultra-thin 400 series acoustic panels. The Udderly Quiet™ Acoustic Cloud offers a unique soundproofing option that is adaptable to a multitude of different spaces. Our Acoustic Cloud hangs from the ceiling to prevent sound from escaping the room or echoing around lofty ceilings. The Acoustic Cloud adds additional soundproofing capabilities by reducing vibrations and clarifying sound in the space. Our Acoustic Cloud is perfect for narrow rooms where wall applications of acoustic panels may not be ideal. The Acoustic Cloud is available in several colors to fit any decor, making your space quiet and stylish at the same time. If you are struggling to focus in a loud office or trying to produce high-quality sound in your home studio, Soundproof Cow’s fabric wrapped acoustic panels may be the soundproofing solution for you. Their premier sound absorption quiets any space to improve the clarity of speech as well as add privacy. Available in several different colors, sizes and strengths, our fabric sound panels are functional in a wide range of spaces — from classrooms and auditoriums to gymnasiums and recording studios. Soundproof Cow has a selection of fabric wrapped acoustic panels available in-stock for last-minute acoustic emergencies, or you can customize your acoustic panels to your unique soundproofing needs through our made-to-order option. With a solutions-based approach, our professional team will help you tackle your specific soundproofing problems, so you can experience quieter, clearer acoustics in your space. Give us a call at 1-866-949-9269 to learn more about soundproofing your space or request a quote for fabric wrapped acoustic panels today!